A lot of people tend to think that important business people are boring and dispassionate. But it can’t be denied that success in business requires imagination and a little bit of audacity too. This was especially true in the early days of Houston’s oil boom. During that time the downtown business district was crowded with men—and women too—who were as adventurous and romantic as they were business savvy. They were speculators who made and lost fortunes multiple times in their lives. Many of them started out with very little. In this environment of insecurity and changing financial tides, passions sometimes ran high, for the better or for the worse. Since Valentine’s Day is approaching, we will focus on one of the more positive passions helping to shape our city: love. Yes, love has a place in the business of land speculation and industrialization. At the center of this story about love is a woman named Mellie Esperson. Mellie was a woman of great power and influence during her day, possessing an unusual combination of good business sense and kindness. Intertwined with Mellie’s story are two iconic structures in the Houston skyline: the Niels and Mellie Esperson buildings. Mellie Keenan Esperson was born in Manhattan, Kansas some time around 1870. When she was a young woman her family moved to Oklahoma and there she met her future husband, Niels Esperson, a native of Denmark. The two married in 1893 and moved first to Colorado, then Kansas and eventually to Houston. Niels worked hard and was successful in his investment projects in the Humble Oil field and over time diversified his interests into real-estate and industrial concerns. After 29 years of marriage Niels died in 1922, leaving all his assets to Mellie. Their relationship is not remembered as one of the great romances in history and actually little is recorded about their level of affection toward each other. It seems their love story one was one of those millions of good relationships that in its perfection is rather pedestrian to hear about. However it will never be forgotten in Houston for one, rather large reason. During his life, Niels Esperson had envisioned building a skyscraper on property he owned downtown but sadly had died before he could realize his dream. In an effort to memorialize her husband, Mellie decided to take on the project herself in 1924. She used Chicago architect Jacob Eberson, with whom she had previously worked on the Majestic Theatre in 1923. After three years of construction, the Niels Esperson building was finally completed in 1927. It was the tallest building in Texas at the time, complete with Italian Renaissance-style tempietto which crowned the bustling city in a glamorous fashion that heralded the establishment of many of Houston’s world-renowned cultural attractions during the fist half of the twentieth century. Later renovations in 1938 added air-conditioning to the structure – pretty notable in a place with summers like ours. In 1941 a second skyscraper, the Mellie Esperson building, was completed. It is basically an annex to the Niels, being connected on the first several floors. An urban legend about the building states that the Mellie Esperson building is shorter that the Niels because Mellie didn’t want to outshine her husband. Houston’s skyline reflects the city’s history. Each building is the result of the personal drama, sacrifice and achievement of numerous individuals. They also reflect the changing values of the city; European-inspired, modern and even Meso-American influenced buildings. 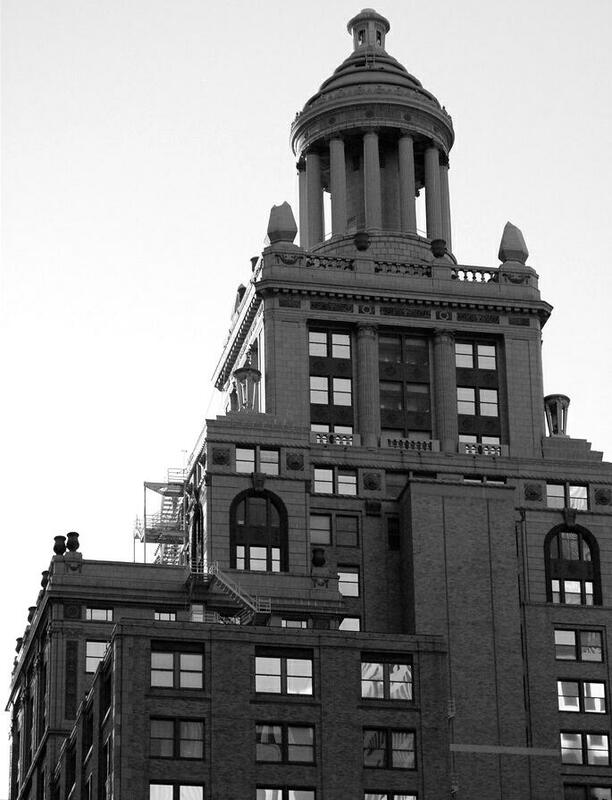 Every structure has a story to tell and in the case of the Niels Esperson building, it’s a love story. Good article. Informative and Enjoyable.